LSI is an RIBA Chartered Practice. The Royal Institute of British Architects champions better buildings, communities and the environment through architecture and it’s members. LSI is a Registered CIAT Practice. The Chartered Institute of Architectural Technologists is the lead qualifying body for Architectural Technology and represents those practicing and studying within the discipline. As a Registered Practice we abide by a strict Code of Conduct to uphold the values and standards of the Institute. 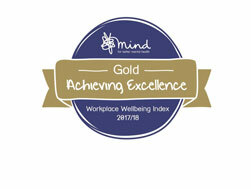 LSI has been accredited with the Gold ‘Achieving Excellence’ standard in the 2018 Mind Workplace Wellbeing Index. This means that the practice has successfully embedded mental health into its policies and practices, utilising a variety of best practice approaches and demonstrating a long term, in-depth commitment to the mental health of our employees. LSI Architects operates an integrated management system based upon ISO 9001:2008 and ISO 14001:2004 which has been assessed and registered by BSI (The British Standards Institution). The BSI logo is therefore displayed on our correspondence and promotional literature as a sign that we are a ‘quality assured’ business, indicating that all our architectural and masterplanning projects are delivered in ways that reflect our determination to fulfil, if not exceed, all our customers’ expectations in terms of the quality of our service, whilst minimising environmental impact. CHAS is a national organisation, set up to avoid duplication in pre-qualification assessments, and to demonstrate health and safety competence to a nationally recognised and accepted standard. Achieving CHAS accrediation not only streamlines the pre-qualification process, but also reinforces our commitment to health and safety, not only for the benefit of our projects and clients, but also for our staff.